Instagram is now one of the largest and most influential social media networks. It’s also a highly global network, with only 20% of its traffic coming from within the US. Its user engagement rate is the highest of any social network, and it’s one of the fastest growing networks among business users. 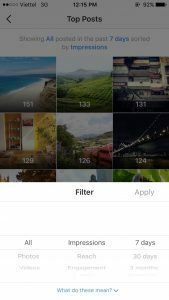 Moreover, Instagram is dedicated to providing business users with solutions to optimize their accounts. 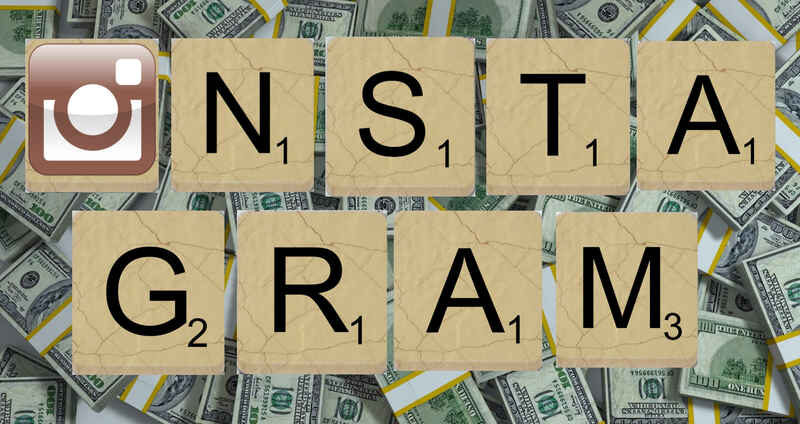 With the advent of promoted posts in 2015 and the recent release of its analytics package, Instagram has shown a commitment to business rivaled only by social media giants Twitter and Facebook. Due to all of these facts, Instagram is now a viable tool for social media marketing. 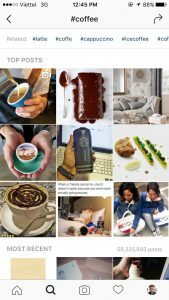 If you’re new to Instagram and haven’t read through The Logical Entrepreneur’s post on the basics of Instagram marketing, please do so before you continue with this article. If you already have an Instagram account but you aren’t receiving the results you expected, chances are there’s some room for improvement. Here are five powerful strategies to grow your following, engage your audience, and become more successful on this powerful social media platform. Instagram’s display algorithm largely depends on two factors: User preference and posting time. The first makes perfect sense, and is actually great for your business. A user will only see posts that are like other posts in which they have expressed interest in the past. That means those who have engaged with your brand in the past and those who are most likely to engage with your brand in the future are also those most likely to see your posts. Great for conversion rates! The second part of the algorithm, however, depends on time. 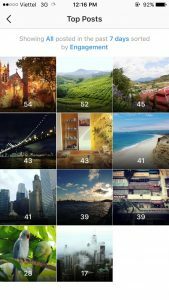 Users are most likely to see photos posted close to the time at which they access their account. Therefore, it’s important for brands to post during the times of day when their audience is most likely to be online. As a general guideline, the best times to post are around 8am, 5pm, and 9-10pm. These are the times of day that people are commuting or are preparing for bed, and those are the times when they are most likely to be online. For optimal account performance, it’s suggested that you post at least two photos a day. I say this when I talk about Twitter especially, but it applies to Instagram as well. It’s dangerous to get hung up on Likes and Follows because they are not time-intensive activities. It’s easy for a user to double-tap on your photo or tap the “follow” icon if they like your post. Because those actions are easy, they don’t indicate dedication to you or your brand. Comments, however, take a lot of effort, compared to a double-tap. If a user takes the time to comment on your post, they are expressing genuine interest in the content you have produced. 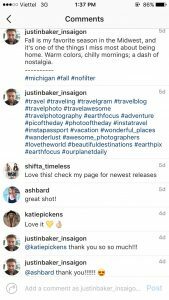 Comments are a much better indicator of how engaged your audience is, because users who actively follow your brand will comment on your posts. There isn’t a metric in Instagram to measure comments specifically, but there is a metric that takes them into consideration. When you visit your “Top Posts” in your analytics section, your posts will automatically be sorted by “Impression.” Click on the blue “Impressions” text, and a scrolling menu will appear. Scroll down until you find “Engagement.” Engagement is the total number of likes and comments on your post. Not a perfect metric, but it’s much better than just likes, and it’ll give you a better idea of your most engaging posts. Hashtags are the mechanisms of discovery on Instagram. Every niche has their own unique set of hashtags that each member of the community uses to discover new posts. Needless to say, members of your target market will not discover you if you do not use their community’s designated hashtags. The best way to find the appropriate hashtags for your business is to copy the hashtags of influencers in your community. For example, if you’re a coffee shop, start with “#coffee” or “#cafe” or “#coffeeshop.” In the search results, check out the top posts. Some of those top posts will be from accounts that have several thousand followers. 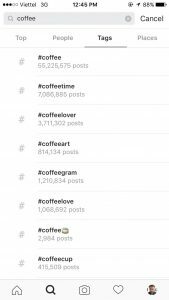 When you find a popular account, look at the hashtags they used on their post related to coffee. You can then integrate those hashtags into your posts. Additionally, notice in the image above that Instagram will give you additional “related” hashtag suggestions. These are great for finding other hashtags to use for your posts because they are ranked in order of popularity. As you might imagine, there are best practices for structuring the caption section in your posts. Ultimately, your captions direct the flow of your followers’ experience with your brand, so it’s important for you to optimize this part of your post. First, think of your captions as sales copy, and use them to elicit an action from your followers. Begin by giving a brief, complementary description of your image, complete with hashtags. Then, direct your users to an action. It could be a link, a question to answer in the comments, or a request for inquiries or tags. Finally, in a separate section from your description, list the three or four most important hashtags related to your post. Immediately after you post your image, click on the speech bubble to leave a comment. In the first comment section, list all the best hashtags related to your content. You should list between 20 and 30 hashtags here. It’s best to separate this “hashtag cloud” from your main post because it can be messy and distracting to your followers. But, if your post is tagged with a hashtag in the comments, it will still be discoverable by search, so it must be included. This should go without saying, but you’d be surprised how many companies refuse to follow their fans on Instagram. There’s a misconception that in order to have an effective account, you should have many more followers than people you’re following. This is incorrect, especially if your account is brand new. Don’t worry about those numbers for now, just connect with as many people as possible. If you see a picture that is relevant to your brand, write a meaningful comment on that picture. Other users will see your comment and check out your brand. If a user comments on your post, follow them and send them a comment back! If someone came up to you in your store in real life and gave you a compliment or asked you a question, you wouldn’t stand there like a deer in a headlight and silently stare at them. You’d thank them, or answer their question. Instagram is no different. Check back soon for more advanced tips on optimizing your Instagram, including Facebook integration, paid advertising, creating visual appeal, and more! See you soon!